11. Eclipses are usually followed by changes in a particular area of your life, and it is hard to foresee.But it only works if your Sun, moon or any planet is involved. 12. It happens that an important for you person is shadowed out of your life during an eclipse. A solar eclipse is associated with male energy. It may happen that a male can leave your life, for example your male boss may retire. Some people can lose their male partner. In astrology we use a special gradation of people who can change their attitude to you, disappear from your life or leave because of many reasons: parent, partner, grandfather, business partner or important client or male friend. Lunar eclipse is more associated with female energy. You can find your female friend moving to another town, so your communication will change. The relationships can be affected and you can never meet again, but maintaining communication on the 21st century is not a hard thing to do. In astrology we use a special gradation of people who can change their attitude to you, disappear from your life or leave because of many reasons: mother, partner, grandmother, business partner or important client or female friend. It works this way in many cases, but sometimes the male and female energies shift within eclipses, and the reason is still unknown. 13. 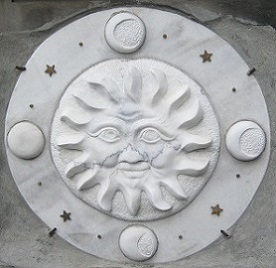 Eclipse is more powerful in events it brings comparing to full or new moon’s power. Eclipses overlap with new moons and full moons, but their energy is like 3 times stronger. Using metaphor, if eclipses were on the boxing ring, they would knock our full and new moon in the first round. Eclipses often bring the destined events or those that are one of the most impactful in our life.